Last-minute solutions. Maybe give them a chance? Recently I came across an article that talked about the high suicide rates in Greece. It’s quite shocking, especially when you have in mind that Greece once had one of the lowest suicide rates. So I became curious - what may be the reasons behind the huge suicide statistics? How could we reverse them? 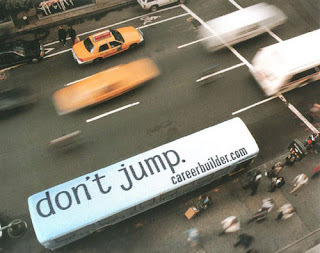 And, most importantly, how to handle suicidal thoughts ourselves? I won't be going into things like clinical depression, because I'm not a psychiatrist, but I will try to talk a little about different demographics and different situations that might push a person to the edge, and how we can learn to handle those situations and feelings better. From 16 to 60, from old age to financial problems and bullying - let's break the silence for a moment. Well, firstly, suicide looks like an especially painful problem among men – men are several times more likely to commit suicide as women. Moreover, when we look at the different ways that men and women are taught to deal with their feelings and problems, we can notice interesting things about how enforced gender roles are harming people. While women are taught to acknowledge their feelings and to express them, guys are left with virtually no coping skills, and instead of looking at the problem, they are more likely to go for potentially harmful, quick-fix methods like alcohol (which is actually a depressant, go figure). Also, there’s a lot of pressure about status, money, career. So, while women might be more encouraged to go talk to their friends, seek help, and thus eventually feel better, men are taught that doing that is “weak” and “shameful”, so they are more likely to suffer alone until they eventually reach their limits. However, it’s not just about gender norms. Being suicidal and depressed is generally stigmatized. A person who feels suicidal is often shunned as an “immature teen” who is “looking for attention”, or someone who has “no real problems”. This kind of stigmatization might encourage people, especially young people, to isolate themselves, it might stop them from seeking help and beat themselves up for the very feelings that they are experiencing. The fact that somebody has problems doesn’t make our problems any lesser, nor does it make them disappear. An attitude like this can only make a situation worse. Also, a suicidal person is seen as “weak” and “afraid”, when it really is the opposite – staying alive and still trying to cope are signs of strength! Because life is messy, stressful and scary – of course it takes a huge amount of strength to carry on with life. And, of course, it takes a huge amount of strength to open up and talk about all of those things that you are experiencing and feeling, because sometimes feelings are messy and hard to understand, and can really drive us all nuts. So staying alive, and especially looking for help are the signs of a truly strong person! Of course, while stigma and social norms are part of the problem, you can’t deny that financial hardships affect people as well. The current widespread sense of helplessness definitely contributes to the high suicide statistics. Especially among people who paid a lot of attention to social status, since a successful job or business might also be a status symbol. Moreover, we as people seem very concentrated on success (so human), but we often forget that failure is a natural part of life. Stocks rise and fall. Business is a risky thing and your investments might not pay off. There are good and bad times. Courses about bankruptcy and failure sound like a crazy idea, but maybe it’s a crazy idea worth considering? Maybe it would help people handle these kind of situations and people would learn to cope with the situation in other, less harmful and permanent ways. It would help them make a fresh start and seek solutions that might help them get back on their feet, instead of ending their lives permanently. Rising suicide rates also especially affect LGBT youth, as they are already a risk group when it comes to suicide. Isolation, hopelessness, fear for their future, not being able to be honest with others… All of these are huge factors that might make a young LGBT person consider suicide. Especially bullying, isolation and stress – either due to not being accepted or fear of being unaccepted. In fact, suicide was once called “a response to oppression”, as people from more stigmatized groups are more likely to commit suicide (for example, transgender people). That’s why ensuring a supportive environment is so important, so people can feel safe to come out and be themselves. Coming out and having supportive parents and friends can especially reduce stress, so that’s the first step! In fact, even something like using homophobic or transphobic slurs can mean a lot to a closeted teenager, as it might push them further into the closet and make them afraid to come out, thus increasing stress and making them feel more lonely and misunderstood. Feeling lonely, misunderstood… That’s probably something that a lot of teenagers feel. In fact, loneliness and isolation (as I’ve repeated just about a million times) is a huge reason that pushes teens towards suicide. But does it really have to be this way? There are billions of people in this world. Hundreds, thousands of them share your interests and are feeling exactly what you are feeling. Right. Now. Right at this exact moment. 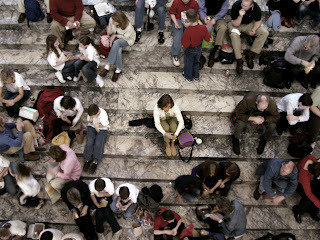 Maybe in a society that seems so dishonest, prejudiced and hateful, it really does seem very easy to feel alone, even in a crowd of strangers? So, should you open up and take the risk? Or maybe stick to yourself and just be a loner? It’s truly a dilemma worth a Hollywood drama! And, like in any drama, you will never know who your friends can be if you won’t open up and face your fears. Building confidence and facing your fears takes time and effort, so take it one step at a time. However, it will really benefit you in the long run - maybe that shy classmate you have never talked to can become a great friend! Also, the problems you experienced during your teenage years will all seem a lot smaller when your life will fall into place, so try to concentrate more on your education and the things that you love, instead of what stresses you out! As you’re getting older, it feels like your time is just flying by, and maybe you feel like your life’s a waste? Maybe you have too many regrets? Or maybe you yourself feel like a waste of space? There’s a significant suicide statistic among the elderly as well, which I’m guessing has something to do with some of these things. Well, I can assure you, that time is not going faster. Our society puts a lot of emphasis on being young, so people are taught to believe that life ends when you’re 30, which is not true! Also, along with the fact that every year becomes a tinier fraction of your overall age (as explained in vsauce’s video), it’s very likely that you experience less and less new things. You also retire, or maybe you’re stuck in a routine job, so more and more time flies by with little or no purpose. You might end up losing all sense of purpose in life and overwhelmed with feelings of utter hopelessness. Suggestion? Experience something memorable. Especially something that you wanted to do, but regret not doing. You’ll have a vivid experience to look back on, and you’ll re-experience life again. You don’t need to climb the Himalayas. Just remember some of life’s little pleasures. Finally, the biggest thing that everybody needs to remember is that no problem is permanent. All the feelings like sadness, hopelessness, loneliness are temporary! No matter how bad they feel, they are temporary, and they’ll go away sooner or later. Maybe it will take a week or a month. Maybe even a year or two. But they’re temporary, and with time and effort, your situation will definitely get better. However, suicide is permanent, and there will be no “better”. 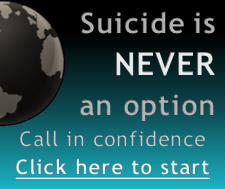 No problem is worth dying over - there is help for you, and there are definitely people that care about you out here. Daniel is from Lithuania in Eastern Europe. He is a heterosexual transgender male. He writes because LGBT issues, especially transgender issues, don't get any coverage in his country, and foreign media doesn't find them important enough. So he's using Freedom Requires Wings to raise awareness himself.